I have had the privilege and honor of being selected for the ZIN™️ Community Council (ZCOM™️) several times. The reason I submitted my application that first time (and thereafter) was one that might sound familiar. I was a fairly new instructor with very limited resources. I didn’t know very many instructors near me, had no real tools to reach out and build relationships with other instructors and really had zero idea where to find materials, links, or other valuable information in regards to trainings, JAM Sessions, or Zumbathons™️. 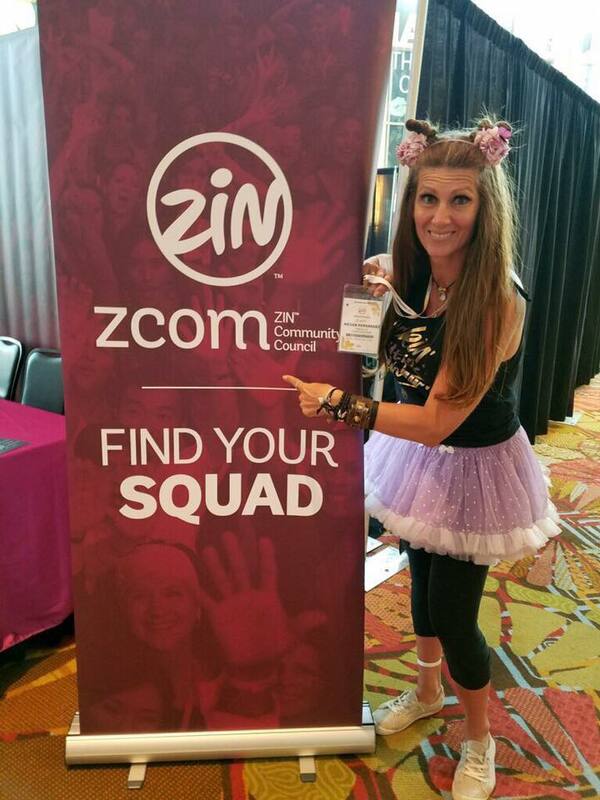 Joining ZCOM™️ was a logical choice for me to connect with my Zumba®️ Fitness community and to help them build relationships as well. What is the ZIN™️ Community Council? The ZIN™️ Community Council (ZCOM™️) is a group of ZIN™️ Members who volunteer for one year to help fellow ZIN™️ Members by connecting them to the information they need straight from the Zumba®️ Home Office, and bringing people together through District Community Projects and Meet and Greets. Based upon ZIN™️ populations and geographic locations there are 49 ZCOM™️ districts that include all of our ZIN™️ Members around the world! Instructors from ever District can easily connect with each other through the District Facebook and Forum Groups. What does a ZCOM™️ Volunteer do during their one year term? They work with their District volunteer team to accomplish ZCOM™️ tasks. Manage the District Facebook and Forum groups. Post information for the District ZIN™️ that comes straight from Home Office. Help guide ZIN™️ on where to find information they might need. Plan at least 2 District Community Projects a year. Plan 3 Meet and Greets to help instructors grow their networks. Completing a Monthly Survey for the Home Office in regards to that district. How can a ZCOM™️ Volunteer help YOU? information, Forum articles with tips about how to have a successful class, to Jam sessions and events in the District. They can help connect you with your local and global Community of instructors to build relationships. This could be as simple as sharing with you a link to your local community Zumba®️ Fitness Facebook group. How to connect with your District ZCOM™. Find your District. Click this link Find your district. Each district is listed and and has the pictures and names of your District ZCOM™ as well as the lands, cities, and states that belong to each district. Locate the links under your district for their Facebook group and Forum groups. Make sure to LIKE the Facebook group and choose FOLLOW in your forum group to get all the latest news from your ZCOM™️ and your community. Join in the discussions. Many of the posts are direct communication with YOU. They are to see how you feel about things, what you like or dislike, what kind of tools you need, what music or songs do you like on the ZIN™️ volumes, etc.. Your opinion is what keeps Zumba®️ Fitness strong. Make sure to engage. We want to hear from you! Stay tuned for future articles from and about your ZCOM™️ from around the world. In December we are going to highlight some of the first community projects that have been held during November and December!